Crossfit Duluth is the perfect fit for me. The coaching staff takes the time to get to know each member. 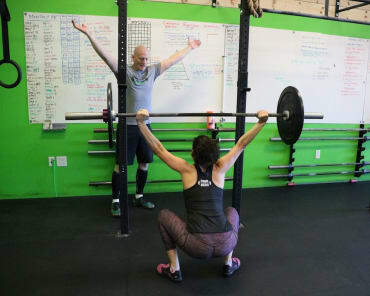 They will modify every WOD to fit your personal needs while pushing you to do your very best. The gym is clean, comfortable and extremely welcoming. Great job Dale, Cory, Jen, Senja, Tiff & Nick! Thank you for all you do. I just started and find the workouts excellent for all levels. Cory and Dale are awesome, and so are the other coaches. Everyone is very supportive. I love it so far! This is the Best place in the world for a great workout. No pressure, everyone is super friendly and more then willing to help. From beginner to novice CrossFit Duluth works with everyone. The people I've worked out with have become like family. Dale, Cory, Jen and the other trainers are amazing and have changed my life in the best way. Caring coaches and friendly people in every class. No one makes you feel self conscious as a newbie and they all celebrate each other's PR's. I feel lucky to have found them. The best CrossFit box in N. Minnesota! Dale and Cory are awesome coaches!! Excellent programming and excellent coaches. Wether you are just beginning your fitness journey or need a new challenge this is the place to go. They have a great community and great atmosphere, and you will get in a great workout every time. The best coaches! The best members! And now a brand new facility just two doors down from their last location. This place rocks!!!!!!!!!! This place is pretty amazing. I've never stuck with a gym until I got here. Having something different to do every day, having someone to coach you along, and having other people to commiserate with has been such a game changer for me. Now I want to go to the gym everyday, where before I thought I was fine being a couch potato. 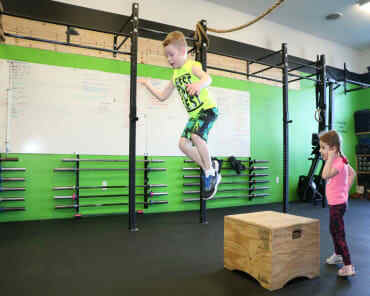 If you need something to really jump start your fitness journey come to CrossFit Duluth, try it out, you'll be hooked! No matter what type of fitness level you are at Dale, Cory and all the coaches are amazing to work with. This place is so welcoming and friendly wouldn't want to go any were else. Very clean gym. Friendly members. Knowledgeable staff. Challenging workouts taylored to all skill levels from beginner to advanced. CrossFit Duluth helps anyone no matter where your fitness level is! I went from fluffy to fit with their amazing coaches and community in no time flat and have kept it off! Get in there and see it first hand! This is not a regular gym these people care, incourage and support you every step of the way!!!! CFD is the most amazing gym. The coaching staff is second to none. CFD members are truly family -everyone is supported regardless of skill level. If you think you can't, try anyway. You might just surprise yourself. The most welcoming gym I have ever walked in. The coaches are amazing and always give great tips and advise to better my CrossFit experience! Feeling the burn already. It hurts so good. Great atmosphere and encouragement. Thanks for the great drop in! Tough, good WOD today, and an awesome group to suffer through it with. It's difficult to summarize an experience that has been life changing. That is what has happened at CrossFit Duluth. 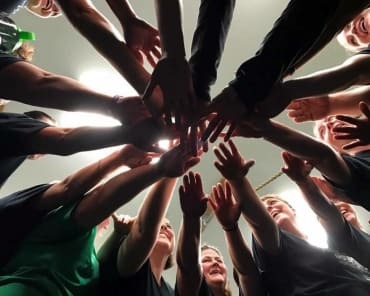 The coaching, the support, and the community make it the best place to workout in Duluth for all people regardless of prior experience. My wife and I tried the "World's Best Boot Camp" and found the classes challenging but a great supporting staff and awesome group of others taking the class. After the WBBC, we joined the gym as crossfit members. All of the staff are very knowledgeable and supportive. The members are all family and full of positive reinforcement. I am so glad we tried Duluth Crossfit! Awesome place to get the best work out possible. Dale and Cory are fantastic coaches. Very welcoming atmosphere. CrossFit Duluth is my home when I am not at home. The coaches are great and I have made many new friends. Dale and Cory create a fun and supportive community. Love CFD! Challenging workouts, customized for your fitness level. 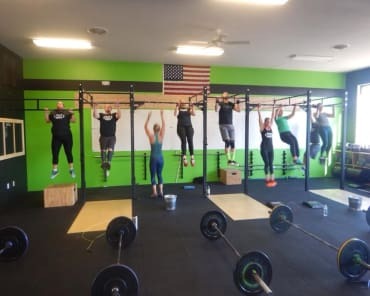 Crossfit Duluth is everything and more! Great coaching, great WODS and an outstanding family of people. Dale and Cory....you're the best! To see the transformations of mind, body and soul leaves me breathless. Whether you are a fire breather or never exercised a single moment of your existence you will blow your goals away! Awesome community! Will definitely be back next time I'm in town. Knowledgeable coaches and great members. Thanks guys! The ABSOLUTE BEST!!!!! Do yourself a favor and check them out. They will help you succeed in your fitness journey. The coaches and the members are awesome! Very non-intimidating place that will work with you to achieve your goals no matter what the may be.